Gingerbread dream in the heart of South Hampton. This wonderfully maintained home is filled with charm both inside & out. Packed w/original character including stained glass windows, built in bookshelves & in-laid wood floors. 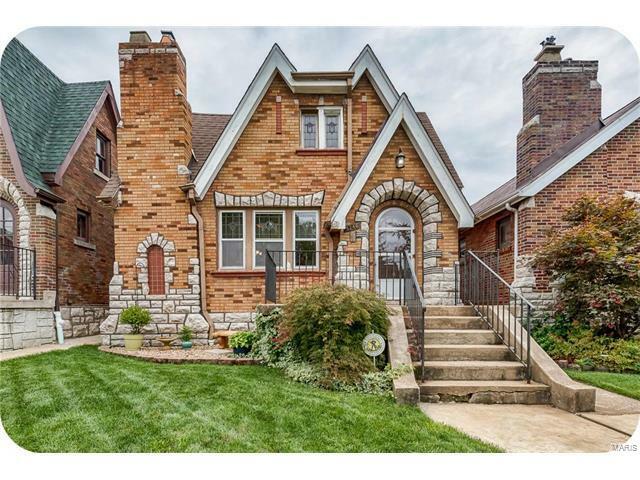 The arched doorway takes you into the main living room w/coat closet, lots of windows & original fireplace. The large dining area is perfect for dinner parties. Bright new bathroom w/beautiful tile work. You'll love the bonus room addition off the kitchen for extra space. 2 nicely sized bedrooms on the main floor & another huge bedroom upstairs w/newer carpet & walk in closet. Walkout basement w/ 1/2 bath is waiting to be finished for additional livable space. Manicured & fenced in back yard that's ideal for kids, pets & outdoor entertaining. All of this & a 2 car garage will have you loving life in this adored walkable neighborhood. 1 block away from action packed Macklind where you'll enjoy a short stroll to the Copper Pig & Russell's. Highway 44 to South on Hampton. East onto Delor. House is on the right just past Macklind.